Everyone wants to make their special wedding day extra special, but the question is how? It’s not quite as hard as you might think. Usually it’s in the smaller details and thinking more about what you really want versus what your guests expect. Your wedding day is about the two of you sharing your love with your closest family and friends. You want it to be a day you remember forever. These seven things will make it an extra special wedding day and ensure everyone in attendance will never forget it. Forget about trends or traditions. The right dress and tux make all the difference in the world. Wear something that makes you look and feel good. Don’t forget about comfort since you’ll be wearing the clothes all day. Think about what colors mean the most to you. It’s not just your bridal party that gets to wear something colorful. Clothing might not sound that important, but the right clothes can change the entire mood of the wedding. Pick what works best for you and your wedding theme. No matter what your venue is, get creative with it. Even if you’re using the local community building, turn it into a work of art with simple decorations. The venue is often what people remember most about the wedding. Create a unique atmosphere using projection screens, background music, a photo slideshow, live streaming from the photographer’s camera or anything else that comes to mind. If you’ve ever watched wedding planner David Tutera in action, you know how decorations can drastically change the look of any venue. Make your special wedding day even more special by choosing a fun playlist. Get your entire bridal party together to create a fun playlist that will have everyone dancing, laughing and maybe even crying just a little. After all, it’s not a wedding if someone isn’t crying at some point. Pick music that’s meaningful to both of you as a couple and things you both listened to before you met. This allows your playlist to represent both your lives and the lives of those closest to you. You probably already know the importance of hiring a great photographer to capture your special wedding day moments, but there’s something extra special about those more candid shots. Somehow, it takes an amateur to capture those unique shots. Sit out disposable cameras, set up a special photo booth or ask guests to upload any photos they take to a computer on site. You’ll not only have professional photos, but you’ll get unique photos that will have you looking back and remembering all the fun of your day for the rest of your lives. 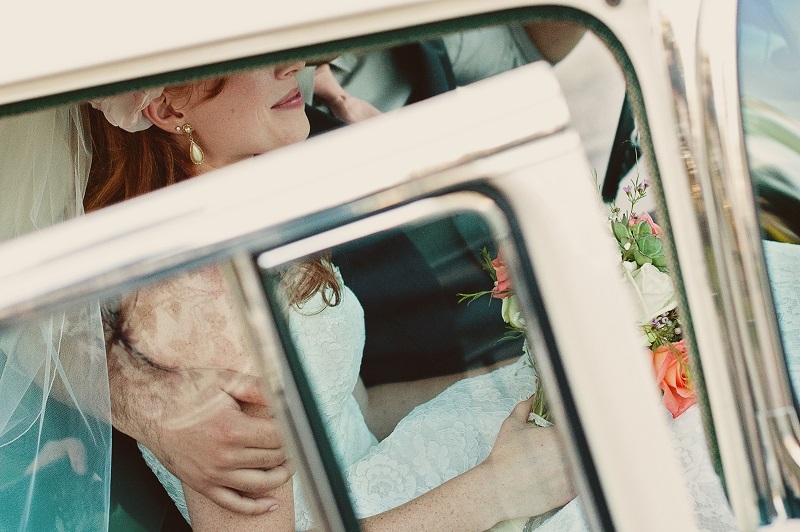 It’s an often overlooked detail, but the right transportation is an essential part of an extra special wedding day. From getting to the ceremony to leaving for your honeymoon, the right car makes all the difference in comfort, keeping your dress from wrinkling and of course, keeping the bridal party together so no one’s late. The ideal solution is an elegant limousine. What’s more special than a limo to transport you during your special day? Limos are even perfect if you’re just having a courthouse ceremony. As you leave, you’ll feel like a royal couple driving off to a luxurious, fairytale future. In all the planning, the ceremony itself is sometimes forgotten. It’s one of the small details that makes your special wedding day extra special. Take the time to write your own vows, choose a special quote, sing to each other or anything else that helps show your love for each other. Going with the standard ceremony is nice, but if extra special is what you’re after, change up the ceremony just a little. With every detail of your wedding all worked out, you need some sort of surprise for an extra special wedding day. Plan out surprises for each other to happen throughout the day. These simple, yet loving thoughts make the day unique and will give you both something to remember and talk about as you grow old together. While we can’t plan your wedding for you, we can help with the transportation. Make sure to hire your limousine as early as possible to make sure you get the right one for your wedding theme. We’ll do everything we can to make your special wedding day even more special with our luxurious limousines and professional chauffeurs. Have your date and venue planned out? Contact us today to hire your limo.